Just a day after the world’s most popular search engine turned 15, Google took the opportunity to let the world know about one of the largest updates they have done in years, Hummingbird. Announced on September 26th, Google’s Hummingbird update – the clue is in the name, “precise and fast” – will put less emphasis on matching keywords and more emphasis on understanding what users are most likely to want from their search results. Unlike Panda and Penguin, Hummingbird is a brand new engine, though it continues to use some of the same parts of the aforementioned updates. So, what does this mean for your business? How will your website be affected by Google’s most recent update? The last 2 Google updates, Panda and Penguin, favoured sites producing quality content over keyword loading. The Hummingbird update is the logical next step towards Google’s move towards a “content is king” ethos aimed at providing the end user with a more conversational search experience. 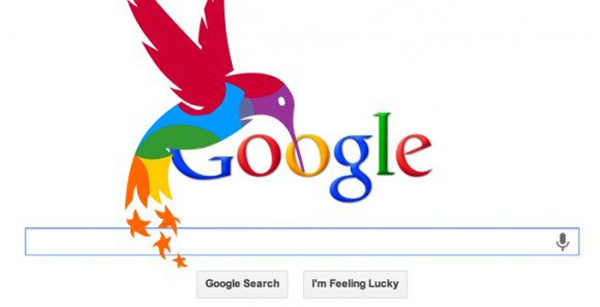 How can I improve my search engine rankings in Hummingbird? “Conversational search” is one of the biggest update examples Google have alluded to. Hummingbird will offer greater consideration to question words like “how” “why”, “where” and “when” in search phrases, in addition to content keywords. Hence Hummingbird moves the emphasis of search from “results” to “answers”. Sites that are currently developing rich content that seek to answer more comprehensive questions, rather than keywords or phrases, will increase their chances of improved search engine optimisation with the new update. Google has publicly declared that Hummingbird will pay more attention to each word in a query, ensuring that the whole query — in this case “recommend” an SEO company close to Derby — is taken into account, rather than individual words. Just remember Hummingbird will personalise search tactics based on location, platform, device and/or hyper local factors so well maintained, well-designed sites, which make it easier for Google spiders to find rich content are likely to rise in the search engine rankings. Will the Hummingbird update mean i’m going to lose traffic in Google? If you haven’t lost traffic in the past month then you may have came through Hummingbird unscathed. Remember pages matching spoken search meaning will do better, rather than pages matching just a few words. Why not contact one of our digital gurus for a no obligation chat or consultation. Threeguru develop cost effective search engine optimisation strategies designed to improve online branding, awareness and ROI.